Known as the most prominent Christian blues musician, cataloged as one of the best executors of the armanic, with more than 30 years of experience. Mansfield had his start in 1974 with a group called Jubal. When the group came to a Maranatha! Music meeting, they discovered that another group had a similar name. So, to avoid confusion or conflict, both bands decided to take on new names. Mansfield band took the name, the Gentle Faith, "FE Weak" which had been the name of the previous group member of the band of Enrique Cutrona. The other renowned band own Daniel Amos. Gentle Faithl released their first album in 1976, Maranatha! music. music. Three years later, Mansfield formed the band Darrell Mansfield, who went to release the five albums: Higher Power, Get Ready, Darrell Mansfield Band: Live, Vision and Apocalypse. During the years that followed, Mansfield continued to record and tour extensively and has remained at the forefront of blues music in the Christian music industry. . He has published many critically acclaimed albums as a couple of projects with the band Resurrection 's Glenn Kaiser. Recordings Apart from the release of their own albums, Mansfield has also contributed the harmonica with many artitas as, are the discs of Van Halen, Bon Jovi, new Adam, and Loverboy. In 1980, Mansfield was inducted into harmonica Hohner Hall of Fame and is considered today as one of the great highlights of the harmonica. Their live performances are a must see and hear, for the blues harmonica and fans from all over the world. oh yeah !!!!! Darrell Mansfield's blues style of praise and Christian worship is considered by many to be a great blessing for Christians around the world. Darrell Ministry of Harmonica and Voice has been bringing glory to Jesus Christ for almost 3 decades and continues to improve over time. That was just the beginning. During the last 30 years Darrell has made and recorded in so many projects on vinyl, cassette, CD (and up to 8 tracks) that he himself finds it difficult to account for all of them. Darrell's latest CD; "The Best of Darrell Mansfield Volume 1" was released in November 2004 by Unibyte Productions. 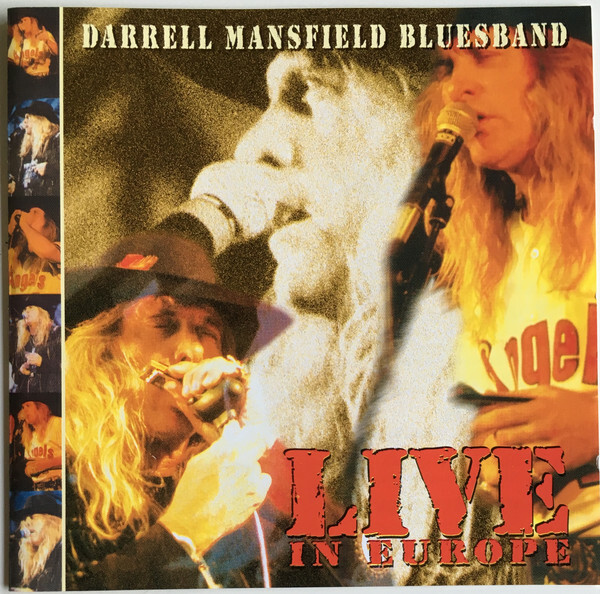 Darrell's latest CD, "The Best of Darrell Mansfield Volume 1" was released in November 2004 by Unibyte Productions. Darrell continues world tour without rest. I It is clear that it is a work of love. Because he has fulfilled the "Source" of music, his real talent is life, breathing testimony to the power of Almighty God. His performances are more powerful now than at any other time in his music ministry, since his purpose is now resolved. Darrell Mansfield longs to give something in return to a world that reflects the need and hunger that led him to "the bread of life."